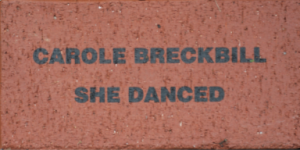 Carole Breckbill made her transition on July 9th, 2015. 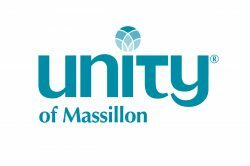 She was a member of Unity since 1980, first attending in Akron. She also held a membership in Houston and Chicago; after her husband Frank passed she returned to Canton and Unity Church of Truth eight years ago. As we Irish would say, our Carole infused Unity with a wicked wit and a devoted, get-her-done attitude. She dug in on many projects for the church, including producing a stellar newsletter and sending her beautiful hand-made birthday cards to everyone attending Unity. She also graciously took over the new directory project in 2012. I met Carole seven years ago at Unity, and she’d always greet me with a warm hug and a funny story or observation. Carole offered me much solace when my husband Russ passed; she was a great example of how life does go on after a beloved spouse transitions. Her Celebration of Life service (which she had written) held some surprises! Pictures of a beautiful, sultry Carole bedecked in full belly dance attire were delightful! Her instructor danced, Cay recited a beautiful reading, and many recalled her profound influence in their lives. Carole continues to dance – not only in our hearts, but across Heaven itself. *Member of Unity Church of Truth.